Animalife Vetroflex Pet is a targeted supplement to support strong, flexible and healthy joints and bones. 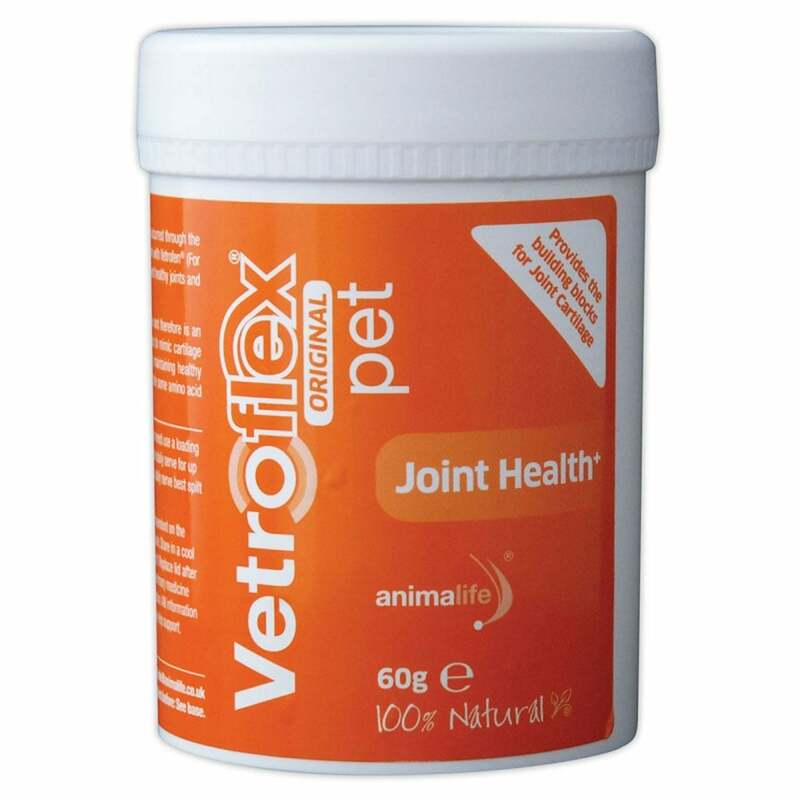 Vetroflex Pet has been scientifically formulated for dogs and cats to help maintain supple movement and flexibility. Vetroflex supports healthy cartilage in your pet’s joints, ligaments and tendons which is fundamental to comfort and overall health. Wear and tear can occur at any age and active pets are particularly susceptible. Cartilage protects the animal’s joints and bones from friction caused by everyday movement. It contains collagen and proteoglycans that interweave with the collagen to form a mesh-like tissue allowing cartilage to flex and absorb physical shock. Vetroflex Pet is formulated to create the optimum blend of amino acids to mimic the structural components of cartilage and stimulate collagen production by chondrocytes embedded in the extra-cellular matrix. Vetroflex Pet works by protecting cartilage and synovial fluid against deterioration whilst stimulating the cartilage cells to promote more collagen and proteoglycans. Vetroflex Pet has the same amino acid composition as collagen and supplies the amino acids such as glycine and proline, of particular importance for the synthesis of collagen. Feed Vetroflex Pet every day, on a long-term basis, to all pets, particularly those that show signs of stiffness and reduced health. Vetroflex Pet supports the maintenance of suppleness and flexibility in every animal.